Founders has so many strong stouts and specialty ales that I'd never bothered trying their basic Pale Ale until recently. I've been enjoying it. 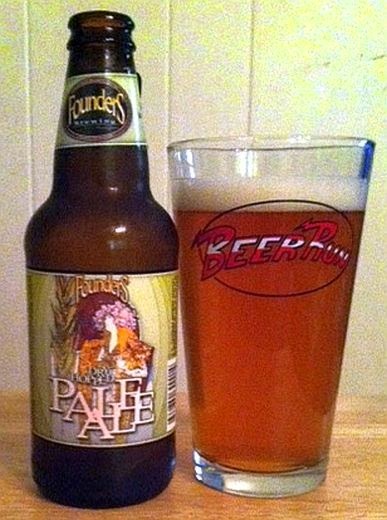 Founders Pale Ale is a well balanced, solid showcase for Cascade hops. It pours cloudy yellow-brown with little head. The aroma is pungent and strong. Mild malt up front in the flavor, then a strong, floral-grassy finish. Great by itself, and delicious with a sandwich.